EOS Diamond Colorimeter is a fast and reliable instrument for diamond color grading, it‘s optimized by a user-friendly software for an easy access to its different functions. EOS Colorimeter is a very useful tool for a fast diamond grading: it grades in less than 20 seconds and its precision is far reliable to human eye. EOS Colorimeter is reliable and accurate: you can grade and select your stones to create exquisite jewelry with the right colour hue. 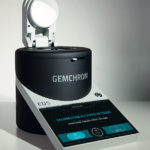 EOS Colorimeter is a precise and accurate instrument: it grades the diamond color referring to the most popular grading scales (GIATM, IGITM, HRD™). A patented centering device for an easy and accurate measurement. The self-calibration starts automatically and it allows to perform a measurement even after a long pause during the day. 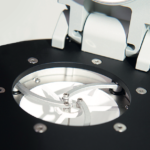 Solid buid for repeatable measurements and reliable results with a ± 0.15 grade accuracy. GEMCHROM is a team of experts, gemologists and gem enthusiasts. It offers a variety of innovative tools for gemstones analysis and lapidary supplies. EOS Diamond Colorimeter was designed and developed thanks to the precious cooperation with Foundation Bruno Kessler, with over 350 researchers at the forefront of technological development and humanities studies. 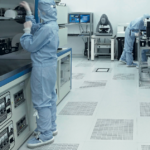 Afterwards the tool development was carried out by EOPTIS: this company designs and manufactures innovative vision systems for special applications and optoelectronic instruments for the in-line control of products and monitoring of manufacturing processes. EOS Diamond Colorimeter is a compact but robust tool made by anodized aluminium housing. 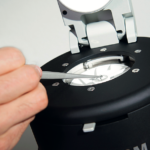 The measuring dome has a soft-close lid for preventing any shocks by measuring a stone. The EOS Colorimeter combines quality in its construction and a high-tech software: it grades diamond colors with reliable accuracy simulating the human perception. You can perform several measurements with a grading accuracy of ± 0.15 Grade. The EOS Colorimeter is designed for an easy operation and the 7” touch screen is very simple to use. The self-calibration starts automatically and it allows to perform a measurement after a long pause during the day. EOS Diamond Colorimeter has a special built-in centering device by using a small lever on the front: you can centre the stone carefully and have an accurate color grading. Long-life LED lighting (ca. 1 Million measurements without any maintenance). I agree and acknowledge that my data will be treated according to the privacy EU regulations. Graphic & Web design by Lino's & Co.